Replacement cartridge sealed bearing cups for 2-piece Shimano Hollowtech II cranksets. Durable, lightweight, anodised aluminium cups with cartridge sealed bearings for fit-and-forget, maintenance-free reliability. 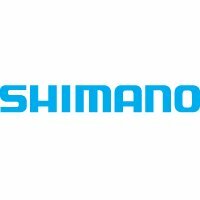 Genuine Shimano HollowTech II bottom bracket assembly. This set includes left and right hand cups, spacers, inner cover, and inner O-rings. Lightweight seal structure helps keep out dirt and water while keeping the unit lightweight.